Survival Knives are those which are targeted towards survival purposes especially in the wild, or often in the case of an emergency when you have no main equipment with you. They can be used for a variety of tasks such as trapping, skinning, wood carving, hunting, wood cutting etc. and can either be heavy-bladed and thick or lightweight and folding. Though survival knives can be useful and crucial too, unlike them a pocket knife has multiple tools. The three most common types are a jack, a pen, and multi-purpose knives. A jackknife is a basic knife having a single blade, a penknife has around 2-3 blades and hinges at both the ends of the handle. The multi-purpose knife has a variety of tools ranging from a car opener to scissors to screwdriver etc. Thus, though both survival knives and pocket knives are compact and pocket-sized, the optimal usability depends on you. o Cutting/Slicing: A survival knife helps you to slice or cut vegetables in the woods and it also helps one to easily slice off the leaves out of the way. Cutting and slicing with ease is a job done with the help of this knife. o Splitting wood/Batoning: It can be used as a substitute for an ax or a hatchet so a survival knife that has a large full tang knife with a flat edge to the back is efficient in batoning. 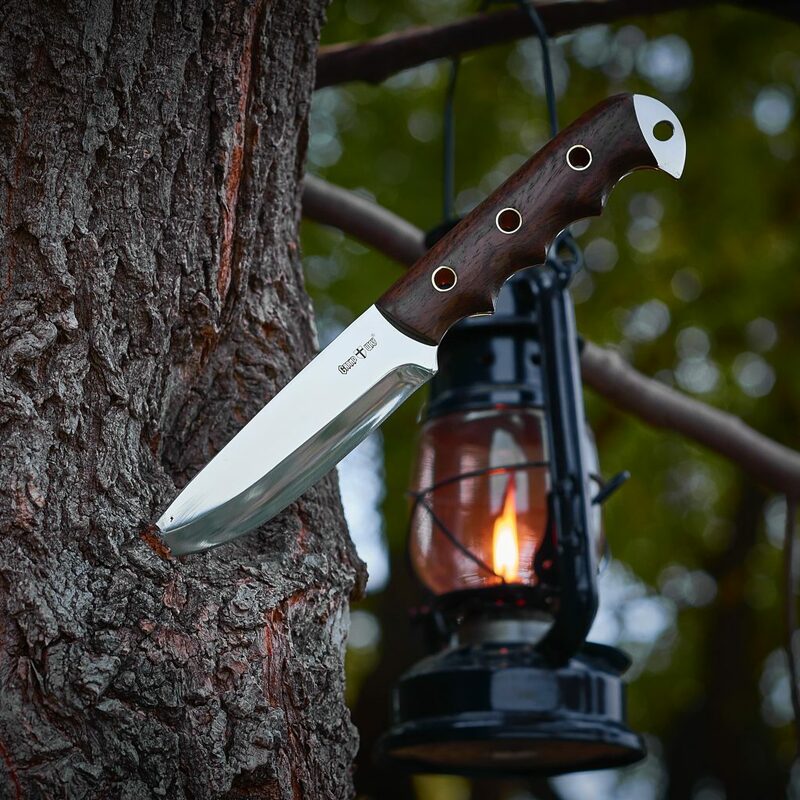 o Self-Defence– This knife can provide you a lot of security in the woods helping you to defend yourself against wild animals or other threats. o First Aid Tool– If you cut yourself by chance in the wood, you can use the knife to cauterize the wound or for cutting bandages to heal your injury. o Food Preparation– Helps to chop a vegetable, meat and other stuff which can be used in the preparation of food. o Fire-Making– If you get yourself in a situation where you don’t have matches or lighters or likewise things, then you can use your survival knife to make a bow drill to get a fire going. o Hunting Weapon– You can use your survival knife to hunt down animals for food. After you have your game, you can use the knife to cut the meat, slice it, clean it and then cook it for your food. o But this doesn’t necessarily mean that survival knife is all good and no bad. In certain cases or under certain circumstances, this hassle-some knives prove to be more disadvantageous than a benefit and can pose many problems for the user. Let’s see what they are. 1. Knives are wondrous tools but you can’t use a single knife for everything. So, you definitely can’t use a survival knife for skinning a dear. The aid can turn into the curse if used for a purpose it is unfit to handle. 2. Also, the tip is very delicate so if you use it as a substitute for a screwdriver or for opening cans; it’s not going to serve your purpose and will also get damaged in the process (and can hurt you too!). 3. Under situations when you don’t oil your knife properly the survival knife will not be pristine in certain situations and will get damaged. Lack of maintenance may make it betray you in a dire situation when you may need its aid to survive. 4. 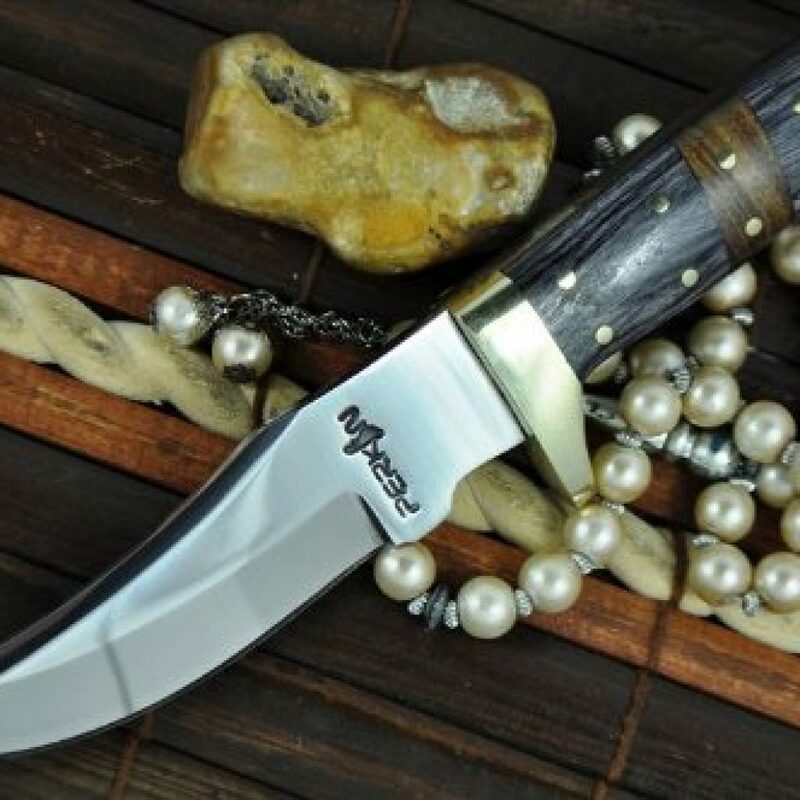 If you clean your knife with water but then don’t use a soft cloth to dry it, survival knife blades are very prone to corrosion leading to quick rusting of the blade. And who doesn’t know how dangerous a rusty blade could be! 5. Also, the handle, if wood, should be treated with linseed oil; and if leather, then with leather cleaner; and if it’s a bone one, then it shouldn’t come in contact with water. So, maintenance isn’t easy as you have to keep a lot of things in mind. An ill-maintained knife could be disastrous! 6. The steel blades of the survival knife don’t react well to extreme temperature conditions. Sub-zero temperatures make it brittle, and extremely high temperatures may ruin the hardening of the blade. So unless you choose wisely, even the best survival knife may not serve its purpose. 7. In case of folding knives, constant inspection of the pins has to be done or else it gets damaged and can cause damages consequently too. 8. Survival Knives have to be stored in a proper place under proper conditions not exposed to direct sunlight or moisture. Also, it can’t simply be kept in a leather sheath as that creates pits on the blade. Lack of knowledge about your possession may turn into a bane. 9. Also, while sharpening the knives, you have to make sure that you don’t press too hard or it will get damaged and lose its purpose. 10. Finally, the correct way and angle of sharpening in case you are using a wet stone or sharpening rods are crucial. And you can never use a power-driven grinding wheel for survival knives as they burn the temper from the blades, making it turn useless. Thus, though multi-purpose it is, survivals knives (as compared to pocket knives) are not easy to maintain. They have a lot of criteria to be fulfilled, and can’t be used for all types of tasks. So, it can be righteously said that it’s more like a curse than a blessing unless one chooses well and knows all about the usage, maintenance, and handling. But that should stop you from investing in a survival knife, because, all said and done, it’s useful after all. You can use it for various things in the woods (or even tool-shed or any other tactical situation) when you have no other tool handy. Excellent points.Thanks for making this blog. I get asked a lot about survival knives and the like. I hope people read this blog and understand the terminology.